Dual 5W drivers produce deep lows, textured mids, and clear highs to enjoy at home or outdoor. Latest Bluetooth 4.1 Instantly connects your phone or tablet and automatically reconnects to the last device used among 33ft wireless range. Up to 30-hour playtime and talk time, stream your music wirelessly with A2DP Bluetooth or plugged in via AUX input with included 3.5mm audio cable. Easily manage audio playback and calls with volume controls, and built-in microphone. Choose your sound signature with the Mode switch. Built-in 1/4″-20 standard tripod screw mount for outdoor use. 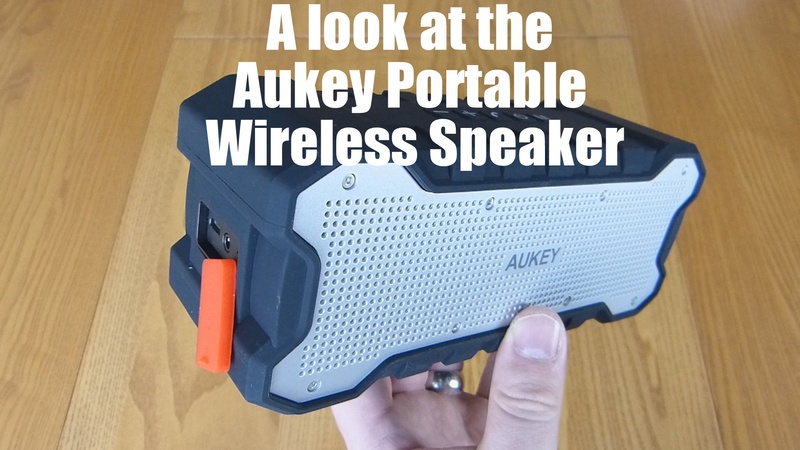 Package Contents: AUKEY SK-M12 Bluetooth 4.1 Speaker, Micro-USB Cable, 3.5mm Audio Cable, User Manual, 24 Month Warranty. Grab one from Amazon for £29.99.